Never had carnitas before? You'll be happy to know that they're really just a Mexican version of pulled pork -- and they can be made right in your slow cooker. That's right, a pork shoulder slowly cooks away in a mixture of delicious Mexican spices and a splash of orange juice. When it's done, it gets shredded apart to be enjoyed on its own or wrapped in a soft taco shell. Add barbecue sauce to the pork once it's done or, if you prefer, leave it out entirely. Carnitas can be eaten either way. Add delicious toppings like guacamole, onion and sour cream. Or leave those out too, letting the flavor of the pork really shine through. Either way, an authentic Mexican meal awaits you! Place the dried oregano, cumin, salt, black pepper and olive oil in a small bowl, then mix to form a paste. Spread the spice mixture all over the pork shoulder and place in a 6-quart slow cooker. Place the roughly chopped onion, smashed garlic cloves and pickled jalapeno pepper on top of the pork shoulder. Pour the orange juice around, but not over, the pork. Place lid on slow cooker and cook on low for 8 hours or on high for 4 hours. 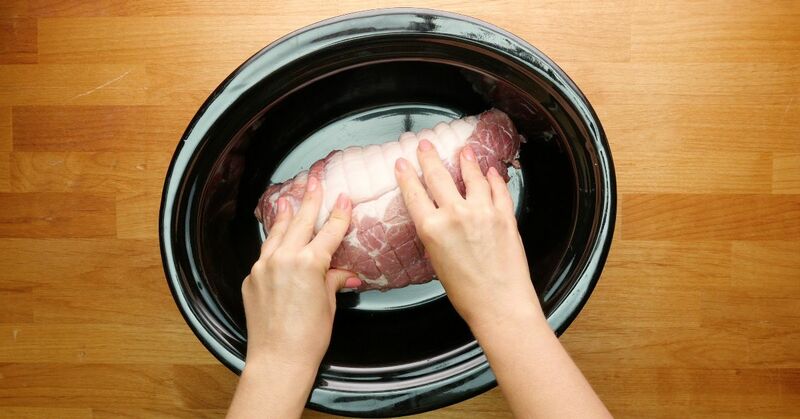 Remove pork from the slow cooker and shred using two forks or your hands after allowing it to cool slightly. Place the pieces of pork back into the slow cooker to absorb the flavors of the cooking liquid. 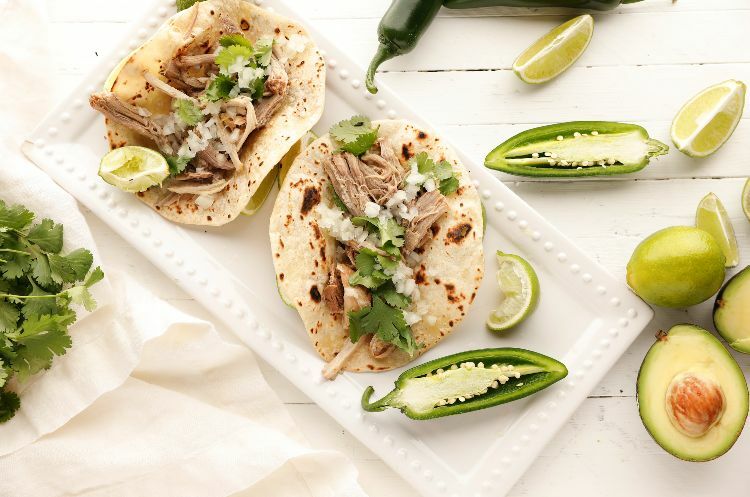 If using, pile the pork into tortillas and top with cilantro leaves, onion and lime.